Beauty, food, fun and life. With Alice. Oh how I love this addicting little site. I think of it as bragging about your favorite products to your bestfriends in hopes they will start loving it too. There is also the added bonus that based on your score you can get a change to earn boxes of products to test and review. You’re score is based on your overall interaction and contributing nature to the site. The more information, better the score, better chance for free items. This site has only recently had a site over haul. Going from very basic with not too much information. Not very appealing to new users who may not have gotten the point of the site. I’m more then sure that many people joined, did their surveys and hoped for the best in getting a box. When that’s not at all the point. The new site is much better. Visually appealing, easy to understand and organized. Lots and lots of information, so you know what’s going on. There shouldn’t be any confusion. All your questions are pretty much answered. The site also can be appealing to women and men. It’s not all women products and clothes. They have gaming, geeky techy stuff, camping and lots of other categories that can appeal to anyone. I have yet to get a box from the site. However I don’t feel that’s the point. The exchange of information is great. Telling people what you are into and in exchange reading how other people felt about a product. Possibly influencing 😉 what products you would like to try yourself. I recommend anyone give it a go. It’s free to join and interactive. When you join you also have five slots where you can add friends by email and help each others scores. If you would like me to add you to my Influential Friends you can just send me your email and I can add you. 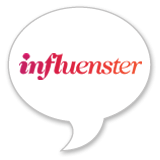 Are you already a member of Influenster? What are your feelings about it? Do you like the new site? Have a beautiful day. Alice.